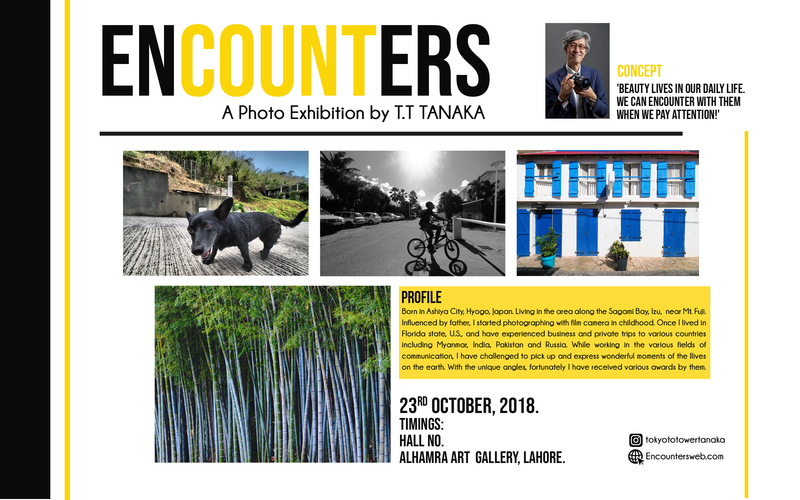 T.T.Tanaka held ENCOUNTERS exhibition in Lahore, Pakistan, on Oct.23, 2018. He has also visited two high/junior schools and one non-formal education center to offer classes with photos to the students. T.T.Tanaka’s ENCOUNTERS exhibition and talk show were held as one of the main programs of Japan Culture Day at KPI in Kiev on Sep.7, 2018, where Japanese ambassador, Mr. Sumi was invited to the opening ceremony. 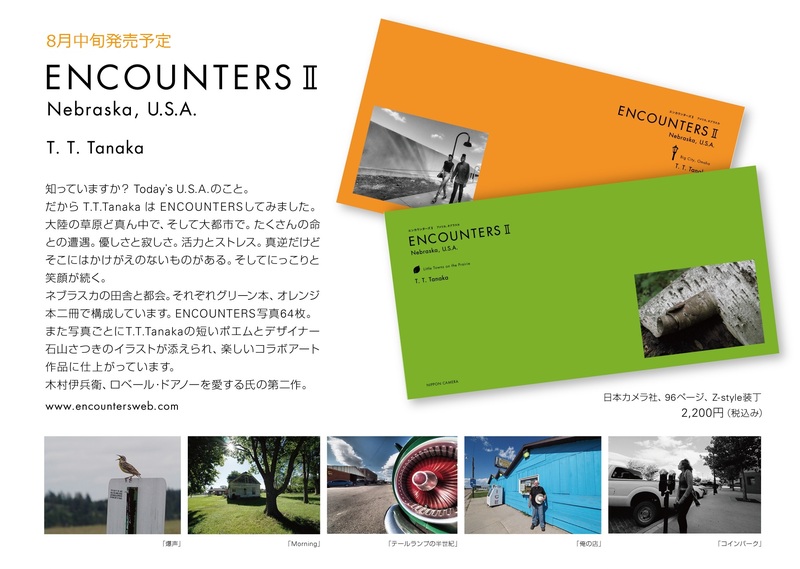 ENCOUNTERS IV was exhibited in the main hall of Ukraine Cathoric University for two weeks in Lviv; Sep. 2018. T.T.Tanaka held workshop at cafe in Riga of Latvia on Sep. 8, 2018. T.T. 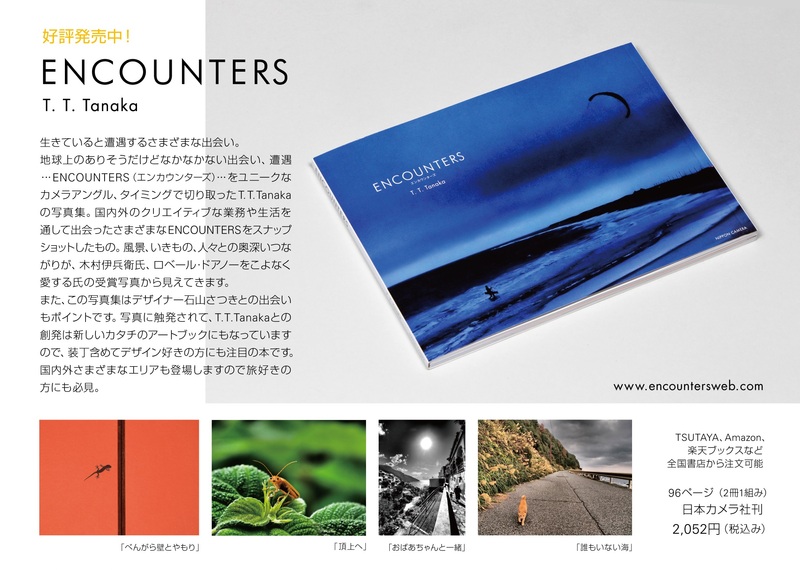 Tanaka started his monthly column, “Travel is ENCOUNTERS” with his photos and essays, also with illustration by Nozomi Takiguchi from Mar. 2018. Essays are written in Japanese. T.T.Tanaka offered photo slides with talk for Okayama Saidaiji Hospital including president, Dr. Naoya Kobayashi on Mar. 15, 2017. T.T.Tanaka lectured in two classes (Dr. Ann Wehmeyer/Dr. Christoper Smith) at University of Florida on Nov. 15, 2017 This became the UF Global news by the International Center on Nov. 16, 2017. 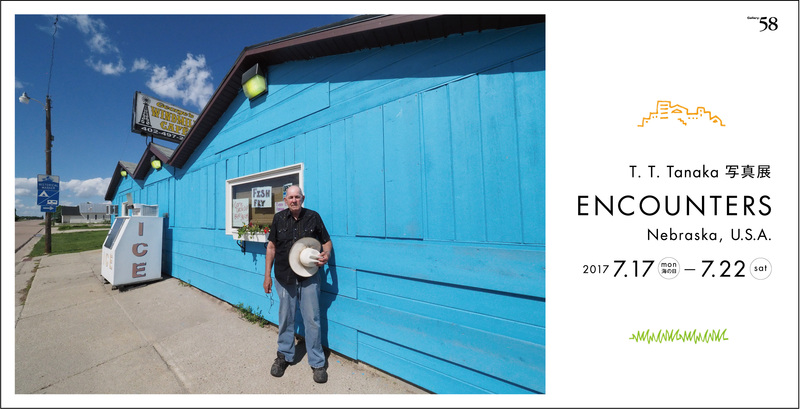 →See the PDF report. .
T.T.Tanaka lectured in four photography classes (teacher; Pam Valcante) at F.W.Buchholz public high school on Nov. 15, 2017. T.T.Tanaka visited head Dr. Toshiro Nishida and staff of National Cancer Center Hospital and started showing T.T.Tanaka’s photos on the display at the lounge. T.T.Tanaka visited the director Akiyoshi Komoto and Manager Ms. Sayuri Takata o women’s volley ball team of Okayama, “Seagulls”. He took photos of training/practicing of the team on Mar. 17, 2017. T.T.Tanaka offered photo slides with talk for Kawasaki Hospital including vice head, Dr. Yoshio Naomoto on Mar. 16, 2017. T.T.Tanaka offered photo slides with talk for National Hospital Organization, Kanagawa Hospital including head, Dr. Nobuiko Oomori on Dec. 8, 2016. T.T.Tanaka also offered photo clinic for students of Mito high school in the neighbor of the hospital. T.T.Tanaka offered slide/talk show in the restaurant, Nanai, in Okayama. T.T.Tanaka offered photo slides with talk for Okayama Kyoritsu General Hospital including head, Dr. Jun Takahashi on Dec. 8, 2016. T.T.Tanaka additionally offered slide show in the palliative care floor. T.T.Tanaka visited Aoyama Children Clinic on Dec. 8. This photo book is unique style in collaboration with designer, Satsuki, and with T.T. Tanaka’s short essay. The B5 size book is composed of two chapters. One is “Encounter with nature”, the other is “Encounter with my own pieces”. All photos are awarded photos in popular contests and printed in high definition . Hope you can enjoy these photos with essay so that you could travel yourself virtually. Locations cover various countries like Pakistan, Kazakhstan, Myanmar, France, U.S.A. and Japan. 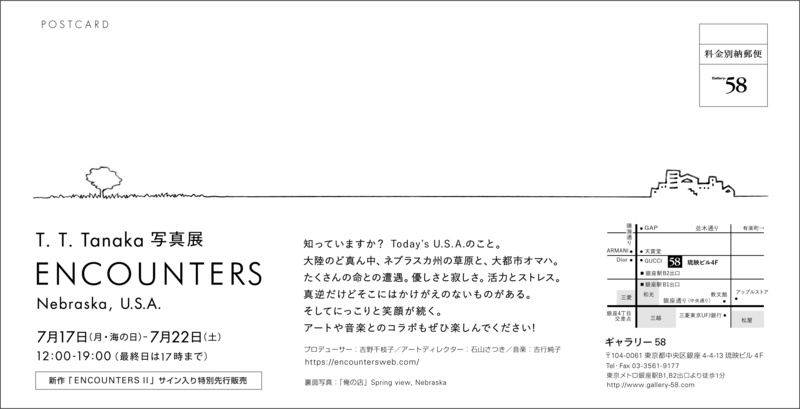 You can purchase via Amazon, Rakuten Books or Nippon Camera.